1. Entrance Requirement: Candidates will have appropriate degrees or demonstrate equivalence from professional experience. Coursework may be assigned in research skills, reference library use, ethics, plagiarism, intellectual property and writing. 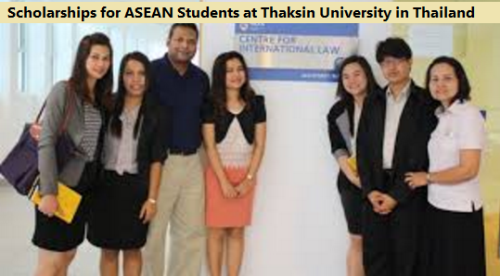 Now that all the information about Scholarships for ASEAN Students at Thaksin University has been delivered nicely; talented students who are eager to pursue their Free Tuition/Scholarships/Study in Thailand can apply now.